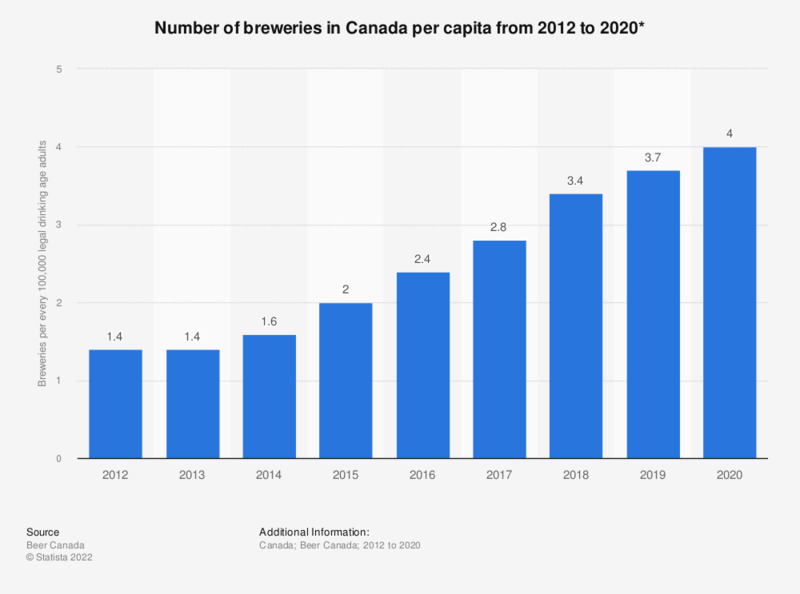 This graph shows the number of breweries per capita in Canada from 2012 to 2017. In 2017, there were 2.8 breweries in Canada per every 100,000 Canadian legal drinking age adults, an increase from 2.4 the previous year. Figure from 2012 taken from previous report. * Per every 100,000 legal drinking age adults.